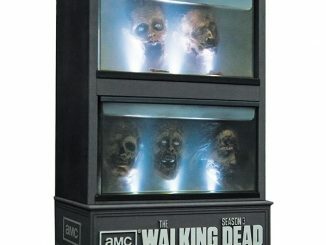 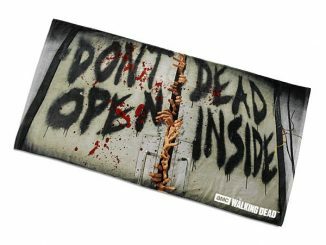 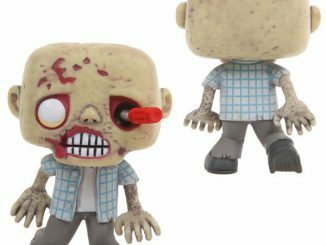 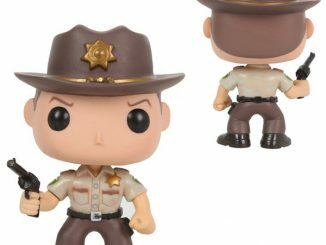 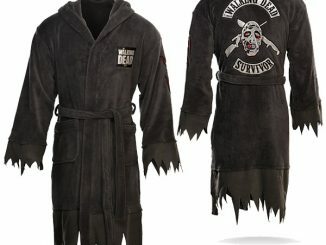 Fans of the walking dead will enjoy staying cozy and comfy in this Dead Inside Walking Dead Robe. 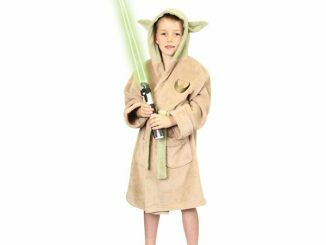 This fun and comfy robe features “ripped” sleeves and bottom hem for that authentic walker look. 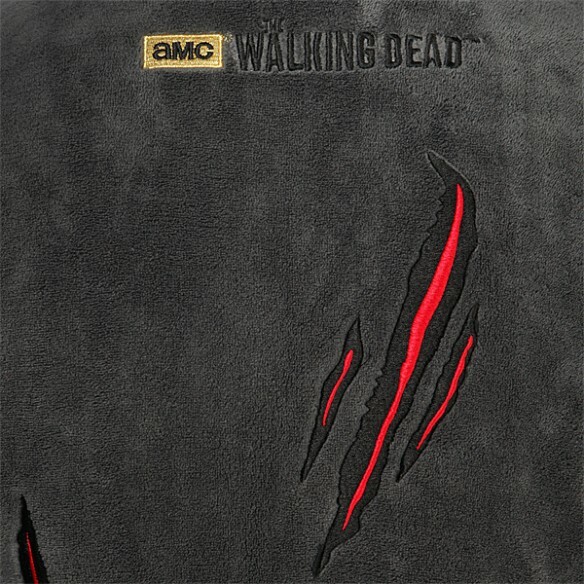 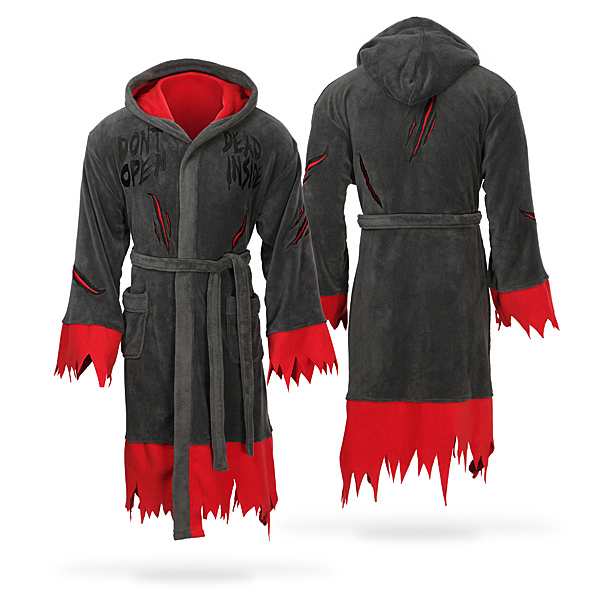 This robe also has a red hood lining, with slashes on the arms and back. 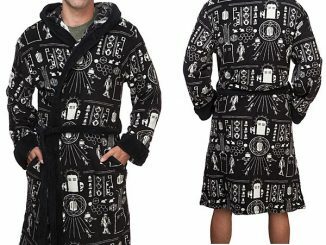 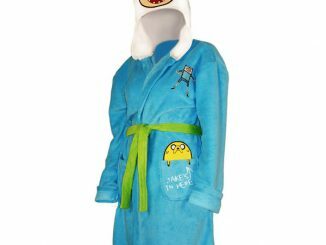 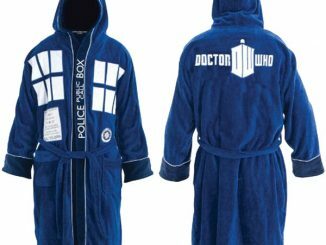 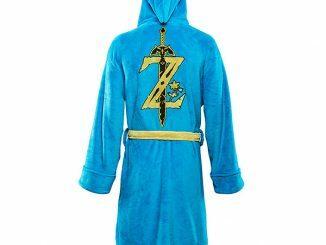 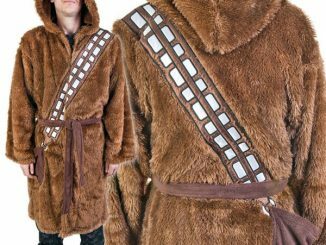 This is the perfect robe for fans of the hit TV show.